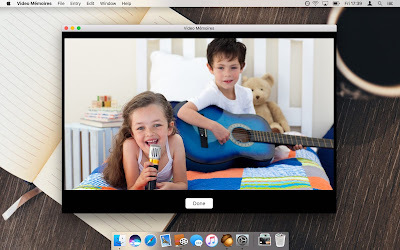 The new version of the popular Mac diary app, Mémoires 4, has been released. Improvements include the new gorgeous look (retina-ready), better password protection for diaries (uses strong AES-256 encryption), native autosave and versions, enhanced full screen mode, and better navigation. Mémoires keeps diaries in a standard file format to make sure you can always access your data. You can download the new version from Coding Robots. Last month we introduced you to a new version of Mac diary application, Mémoires. You can read more about it and the new features in our short review. There's also a video screencast about how this software works. 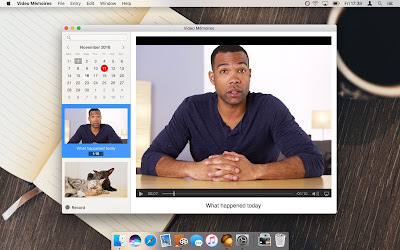 As for video screencast, we linked to two of them in "Mac Diary Video Tutorials" post. If you're wondering how you can start writing your journal on Mac, or how to password-protect it, make sure to check out that post. Finally, in "Personal Diary vs Blogging" we talk about differences between blogging and keeping a personal offline diary. Many people consider these activities somewhat similar, and while there's a bit of truth there, blogs and personal diaries are very different. Read the article to learn why. Stay tuned for more interesting articles. If you haven't subscribed to our feed to follow updates, you can do it by clicking this link. You can also subscribe by email — see the sidebar at the right. Now it comes with even more features that are essential for keeping a diary on Mac. Quick drawings. Just like in a paper journal, the new Quick Drawing feature allows you to draw sketches, doodles, or anything you like right inside Mémoires. Printing and exporting to PDF. You can print single entry, entries for a specified period or the whole journal. The program automatically inserts dates and titles where needed. Full screen editing. Now you can focus on writing your journal entries without distactions, because Mémories comes with full screen editing. Mémoires allows you to create multiple entries per day, browse entries using calendar, view all entries in one list, and search diary entries. or learn more about Mémoires, Mac diary software. Blogging has become increasingly popular during the last few years. People of all ages enjoy this relatively new trend. However, there are some reasons why you may decide that keeping a personal diary is preferable to blogging. First, logically, there is the element of privacy. While some people are not bothered by making every thought and action public on a blog, most people have some reservations about it. Even if you like to share most of your everyday life with your friends, it is likely that there are many things you want to keep private. You may also not like the idea of people whom you do not even know having access to your online blog. A private diary solves this problem. Whether you choose a ready-made diary or a simple notebook, you can reasonably expect that whatever you write does not go any further than your own eyes. Even if you have an online blog, you might like to have a personal diary also, for this reason. Second, a diary can be preserved. You might want to look back on what you have written, or pass your diary on to your children or grandchildren. Famous people have done this for generations. Even if you do not become famous, having something special, which you yourself have created, is important. You do not have this security with online blogging. It is not something that you can hold in your hand, or tuck away for the future. Almost everyone likes to write about themselves. This can include activities, hopes and dreams, and accomplishments. It can also include your viewpoints on many different subjects. While there is much of this that you may want to share with others, there is probably also much that you want to keep private. Whether you decide to publish a public blog or not, keeping an offline diary should also be a part of your life. 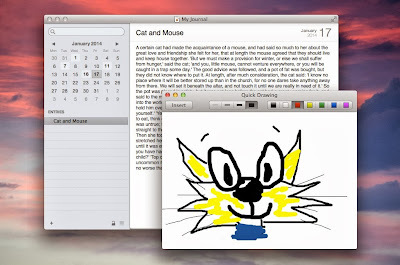 Learn Why writing an offline diary of any type is better on Mac. These journal tutorials use Mémoires journaling software for examples. Also check out Videos section this website. Travel diaries include many records made by voyagers. Generally speaking, these diaries are centered specifically around the courses of where a person has traveled, usually including experiences that occurred along the way. This type of diary is basically a daily record of all the types of foods and drinks consumed by a person, usually in order to estimate calorie consumption; while tracking calorie consumption, a person can see how far he has come in his weight loss struggles. Workout diaries are the type of journals where one explains the exercise he has recently done, including the duration of the workout, and possibly other information, such as how many calories he believes he has burned, or how he felt after the workout. A sleep diary is a log of a person's time spent sleeping and waking, possibly including other information, usually done over a period of many weeks. Generally, sleep diaries are kept by a patient, having been given by a doctor, psychologist, counselor, etc. Ideally, they are used for diagnosing people with a sleep disorder, like narcolepsy or insomnia. Audio diaries utilize spoken words, not written words. Many people use tape recorders or voice recorders to talk about parts of their lives that are most fascinating, with each event progressing to the current situation. German Tagebuchs are basically just diaries, although they could include workbooks or journals as well. In these diaries, people can write about their thoughts about anything they want. For example, someone may write about a crush he has on a girl. Creative writing diaries are used to record stories, poems, lyrics to songs, or drawings. Often times, for example, people get thoughts that come to mind spontaneously, and they record them in these types of diaries. Memory diaries allow people to place precious photos, log details about their thoughts, behaviors, and emotions for events that are most important to their lives. The topics that are put into this diary are things that will want to be explored in the future. A prayer journal diary is something that holds a person's thoughts and feelings concerning life, with the hopes that a greater being (i.e., "God") will look at it. 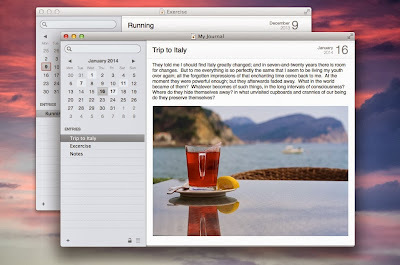 Learn Why writing a diary of any type is better on Mac.